Show your love that some bunny really loves her with this dainty Hoppy-Go-Lucky pendant from the Girls Collection. 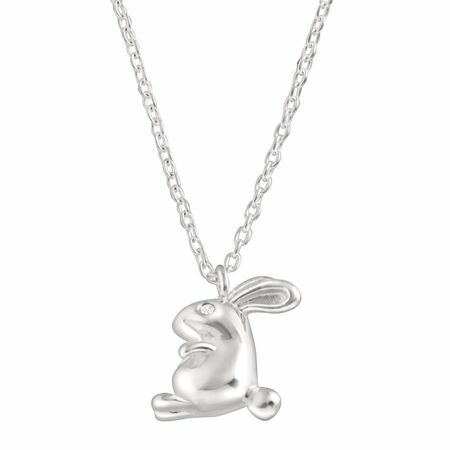 The sterling silver bunny silhouette will make her smile, and it makes a great gift for birthdays, special occasions, or just because. Pendant measures 3/8 by 3/8 inches. Necklace measures 14 inches long, plus a 2-inch extender for adjustable length, and features a lobster clasp. Pendant measures 7/16 by inches 1/4 inches.